One of the quirks of our human sociological nature is the custom of assigning special significance to anniversaries. A few days ago, we were reminded of the June 4 anniversary of the non-massacre at Tianenman Square in 1989. Two days later, we were induced into barfing over this year's remembrance of the "D-Day" invasion of Normandy in 1944. One would think, therefore, that the June 8th anniversary of an act of war and mass murder against the United States of America would merit front page status, or at least first page of the International News section, or perhaps a back-page, bottom page sentence or two in Sulzberger's Slimes. But alas, because the dirty deed was carried out by "our closest ally" ™, Sulzberger and the rest of the Piranha Press have evidently deemed the 51th anniversary of this criminal attack on the USS Liberty as news that is not "fit to print." There is no doubt about it. Israel's attack was deliberate, as was the US media blackout! Not content with the territory that it had already stolen back in 1947, Israel, ever playing the role of victim, initiated what became known as The Six Day War on June 7, 1967. The one-sided fight pitted US-armed Israel against the Arab states of Syria, Iraq, Jordan, Lebanon and Egypt. 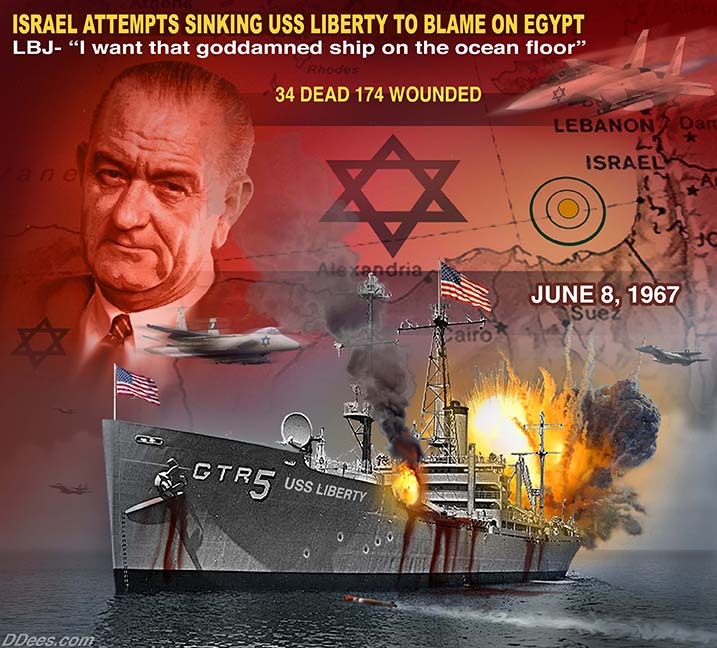 Hoping to bring the US into the war so that the Arab states could be annihilated in one fell swoop, Israeli jets and torpedo boats deliberately attacked the USS Liberty, a helpless communications ship on patrol in the Mediterranean Sea, near Egypt's Sinai Peninsula. The sustained daytime attack, which took place as the US flag flew visibly, killed 34 Americans, wounded 170, and badly damaged the vessel. 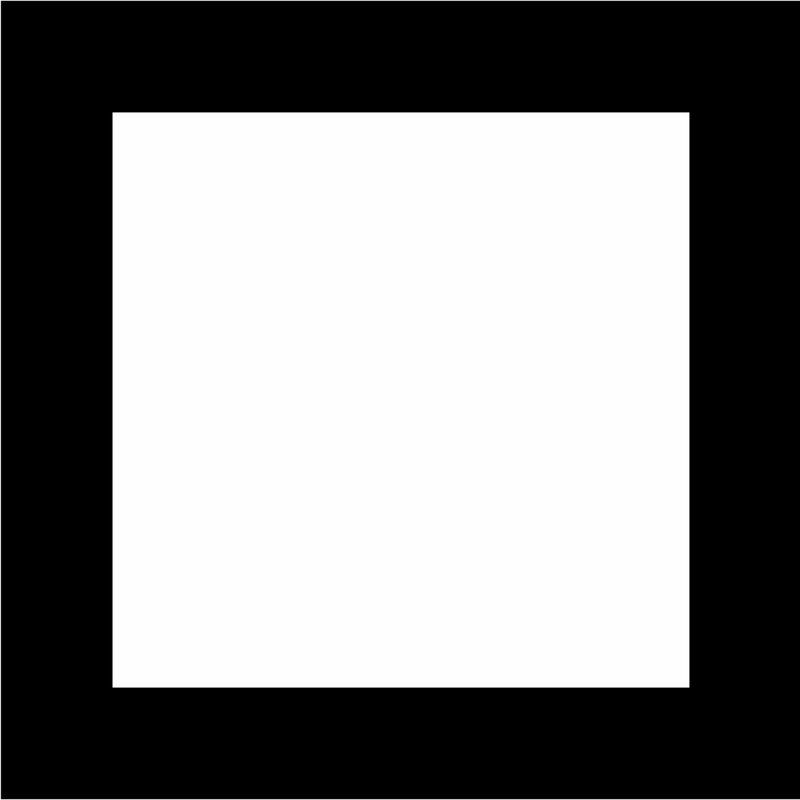 Many of the dead and wounded lost their lives due to fighter jets firing upon their life boats. The Israelis finally called off the slaughter when they thought that help may have been on the way (a Russian vessel was also in the area). Our noble allies then claimed that the assault on the USS Liberty was a case of "mistaken identity." 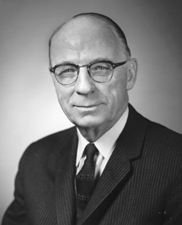 Of course, the government of Zion's wholly-owned US President, the utterly contemptible Lyndon Baines Johnson, with the complicity of Offense Secretary Robert McNamara and Admiral John McCain Sr. (father of Senator McCain the Insane), accepted Zion's ridiculous claim and closed the book. And Congress didn't dare to investigate the matter either. But the detailed accounts of this dastardly war crime, given by American survivors, clearly contradict the Zionist lie. Their testimonies haven't wavered to this day. The object of the false-flag attack was to sink the Liberty, machine-gun any survivors, blame Egypt, and thus draw the US into a war on Israel's side. In spite of the US government's complicit cover-up after the fact, more than a few high-powered men rejected the "mistaken identity" narrative. "From what I have read I can't tolerate for one minute that this attack was an accident." "I was never satisfied with the Israeli explanation. Their sustained attack to disable and sink Liberty precluded an assault by accident or some trigger-happy local commander. Through diplomatic channels we refused to accept their explanations. I didn't believe them then, and I don't believe them to this day. The attack was outrageous." 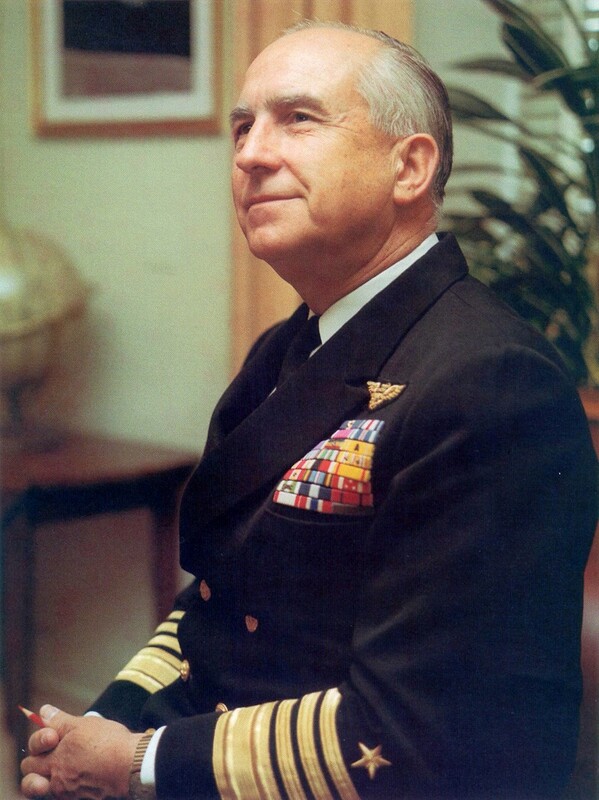 "I have never believed that the attack on the USS Liberty was a case of mistaken identity. That is ridiculous. I have flown over the Atlantic and Pacific oceans, thousands of hours, searching for ships and identifying all types of ships at sea. The Liberty was the ugliest, strangest looking ship in the U.S. Navy. As a communications intelligence ship, it was sprouting every kind of antenna. It looked like a lobster with all those projections moving every which way. Israel knew perfectly well that the ship was American. After all, the Liberty's American flag and markings were in full view in perfect visibility for the Israeli aircraft that overflew the ship eight times over a period of nearly eight hours prior to the attack. I am confident that Israel knew the Liberty could intercept radio messages from all parties and potential parties to the ongoing war, then in its fourth day, and that Israel was preparing to seize the Golan Heights from Syria despite President Johnson's known opposition to such a move. I think they realized that if we learned in advance of their plan, there would be a tremendous amount of negotiating between Tel Aviv and Washington. And I believe Moshe Dayan concluded that he could prevent Washington from becoming aware of what Israel was up to by destroying the primary source of acquiring that information the USS Liberty. The result was a wanton sneak attack that left 34 American sailors dead and 171 seriously injured. What is so chilling and cold-blooded, of course, is that they could kill as many Americans as they did in confidence that Washington would cooperate in quelling any public outcry." Indeed, there was no "public outcry" then, and there hasn't been any significant mention of the incident since. It would have been bad enough if Sulzberger's Slimes had spun the atrocity as being "an accident." But the scum at 8th Avenue in Manhattan didn't even do that. Instead, they went a step further and ignored the murder of 34 US sailors altogether! The rest of the "mainstream media" has followed accordingly ever since. It's as if the event never even happened, and as if the survivors, who have remained active and vocal ever since (here), do not exist. This silence alone constitutes absolute proof that "the powers that be" (cough cough) can do anything they bloody want and get away with it. (JFK assassination (1963), the killing of 241 US marines in Lebanon (1983), the shoot-down of Pan Am 103 (1988), the 9/11 attacks (2001), the fake 'ISIS" beheadings and recent crisis-actor stunts in Europe, just to name a few). 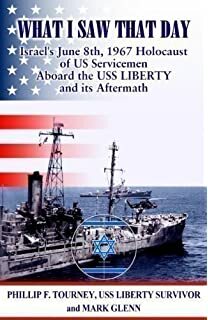 Apart from doing justice to the dead and the survivors of the USS Liberty, this false-flag precedent is still so important to expose because, unlike all the other false-flags, it is known that Israel carried out the sustained attack in broad daylight and, most importantly, it is known that the Piranha Press ignored it. A clear understanding of these two important precedent opens the zombified mind to at least considering a different interpretation of the 9/11 horror and its subsequent, ongoing, and unfinished aftermath. Remember the USS Liberty! Our own lives and those of millions of others in foreign lands may depend on doing so. 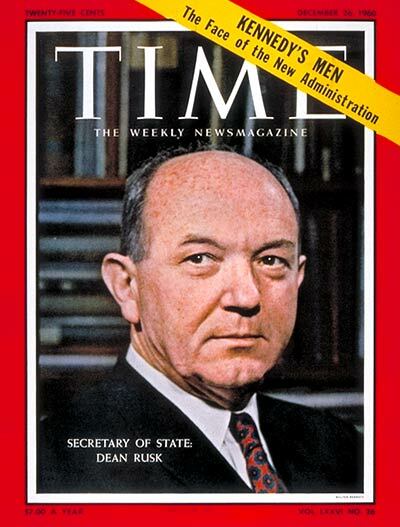 A search through the "Times Machines" Archives (a service made possible by our reader donations -- hint, hint), for 1967's June 9th & June 10th issues of The New York Slimes turned up NOTHING of the June 8th mass murder of 34 American sailors in International waters! Boobus Americanus 1: I read in the New York Times today that on this day in history, James Madison introduces a proposed Bill of Rights in the U.S. House of Representatives. Boobus Americanus 2: Interesting. It's important to know history. Sugar: You don't know jack-ssh!t about hisstory, Boobusss! Editor: Easy on the Boobuses, Sugar. They don't know they are being misled. And if you don't clean up that potty-litter mouth, you'll be put on a dry food diet indefinitely -- in spite of what all your sycophant E-mail fans have to say about it! WHO IS BEHIND THE MADNESS OF THE MODERN WORLD, AND WHY?